About – J.F. Whitlow, Jr. & Sons, Inc.
J.F. Whitlow, Jr & Sons, Inc was founded in 1949 by Joseph and Irene Whitlow right out of their home while maintaining a family of 3 young boys. Multitasking was Irene’s strength to manage a family and run a business. 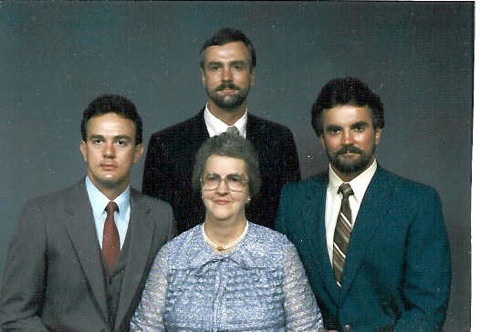 As years passed her young boys grew up learning the importance of a family business. Today, the the J.F Whitlow is run by the oldest son Ronald Whitlow as the president and his nephew Joseph Lee Whitlow is the Vice President. We can provide expert 24 hour Emergency Service available to you 365 days a year for all you’re Plumbing, Heating, Cooling needs. We are here when you need us to service both your residential and commercial properties! We have over 68 years experience in the plumbing, heating, and air conditioning industry (HVAC). We believe in quality workmanship and customer service.